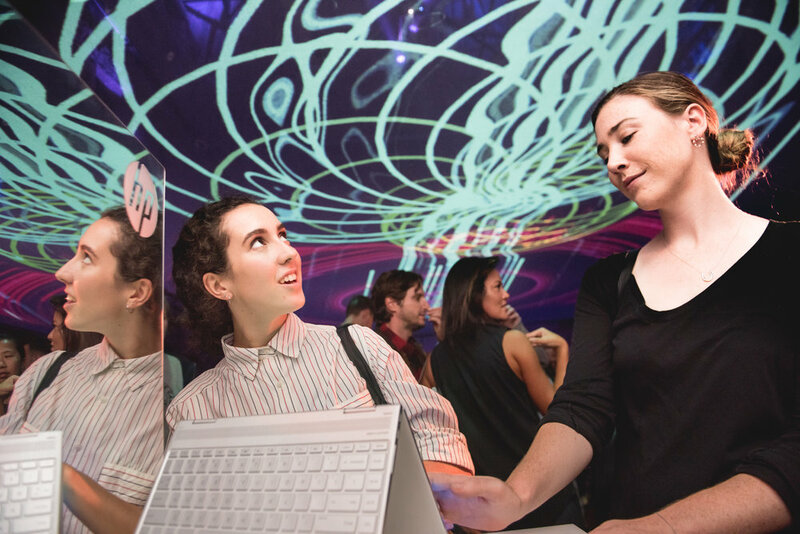 To celebrate Sydney’s Art Month, Vice and the Creators Project invited us to develop a concept showcase for Hewlett Packard's new “Spectre” laptop. 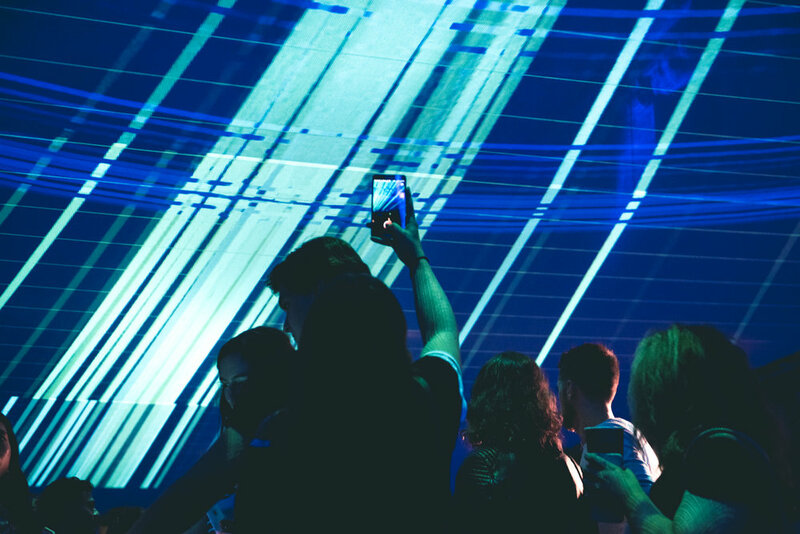 “The Spectorium” is a light and sound installation that creates an interactive ceiling above the audience. 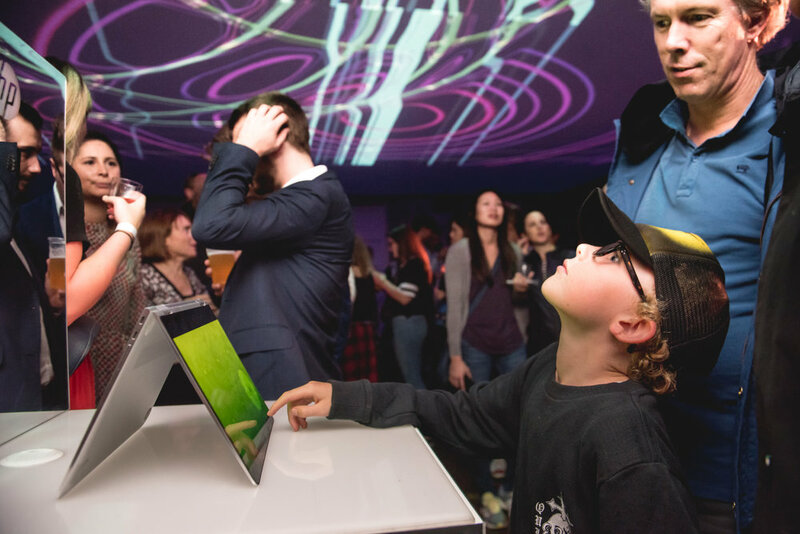 Using the three touch screen laptops positioned under the screen, the audience was able to create their own sonic and visual landscapes. 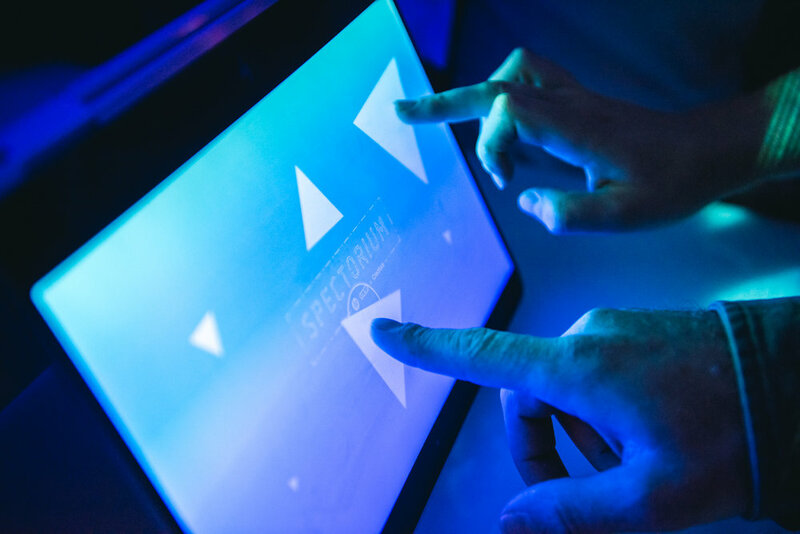 We also adapted the interaction to work as a live visualisation for LA based producer Race Banyon. Our visuals illuminated the space from above as Race worked his magic from the stage.